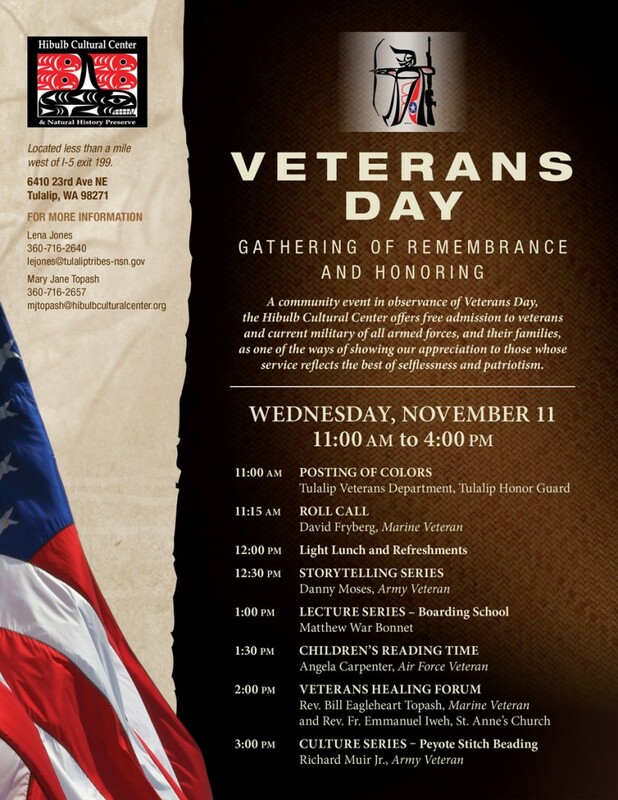 Please join us in honoring our Veterans at the Hibulb Cultural Center and Natural History Preserve, tomorrow November 11th. We will begin with the posting of colors at 11:00am in our longhouse room followed by workshops and presentations by our fellow Veterans. There will be a light lunch and refreshments. Please join us in showing our appreciation for those who have served or currently serving.